Increase Your Website’s Online Visibility. What good is a website if prospects can find it online? 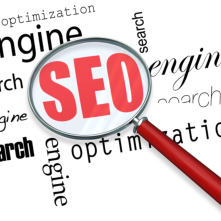 SEO (Search Engine Optimization) increases your website’s presence by using specific keywords or phases. The higher your website is ranked in the organic search results (unsponsored), the more likely your website will be visited. Search Engine Optimization Services Include: • Keywords Research • Title And Meta tags Optimization • Writing Keyword-Rich Website Content • Directory Submissions To Online Directories • Linking Strategies • Web Analytics Reporting • And Much More! SEO can be easily overlooked by many businesses because they do not have the time or internal expertise to effectively employ a successful SEO strategy. PDM Communications will create a SEO strategy for your organization that will help improve your businesses online presence. To find out more about our SEO services, contact us today.